Meet Annie Waite Gilmer, International Distributor for Europe, UK, Australia, USA. Annie is the Directrice of the Phénix Pilates Studio for Neuro Muscular Training. 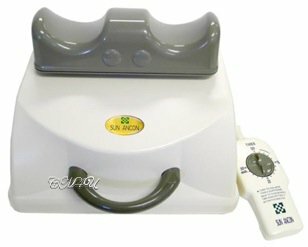 The Original Sun Ancon Chi Machine combined therapy with the Far Infrared Dome. Two cutting edge, Japanese medical machines for home health and wellness. Perfect for days you can't get outside, or for use as complimentary healing machines to combat health challenges, or simply to maintain health. Lie down, relax and let the machines do the work. Please contact Annie directly for questions and guidance, or if you would like to order. This website is for informational and educational purposes and is not intended to provide individual medical advice which may be obtained from your chosen health practitioner. Chi Machine International does not claim that any HTE product presented herein will diagnose, treat, cure or prevent any disease. Always ask questions and research everything.